We have all as marketers discussed, debated, worked on creating, shaping, modifying the brands that we have managed. Often the central point of conversation would have been about the brand character, its personality. We would either have brand bibles that gave a pen picture of the brand or at times written one de novo. What these pen pictures do is that they make the brand tangible for us. As marketers we have given several dimensions such as names, personalities, characteristics some have also given their brands a face! Mascots for brands have been around for as long as we have known brands. Brands with mascots achieve a lot with very little. It takes most brands time and effort in the form of consistent communication to establish the character traits and a personality for themselves. Of course along with a Hail Mary for it to be understood by the consumers the way it is intended. Today more than ever before, in an era of increasing choices and decreasing attention spans mascots can play a very significant role in carving consumer mind-space for brands. The digital natives of today understand and also identify with the concept of “avatars”. The digital natives understand that though not the actual person, the avatars are perhaps the nearest likelihood or the self-projection. From a brands perspective it allows consumers to interact with a “face” or a “person” instead of some nameless, faceless representative. It adds that little bit of familiarity which is key for brand comfort. They can be de facto brand spokespersons. Mascots can have real time presence in sociosphere, sharing, commenting, reacting and interacting with consumers all across. Mascots are more flexible than other brand assets and identifiers such as logos, colors and fonts. They can speak different languages, dress for the occasion helping brands localize and customize messages. Take on multiple avatars! The mascot can be a brands promoter at the point of sale. Driving recall, reinforcing the brands core values and even delivering a sales pitch. Brand ambassadors may switch or cease to be relevant but mascots will always belong to the brand. 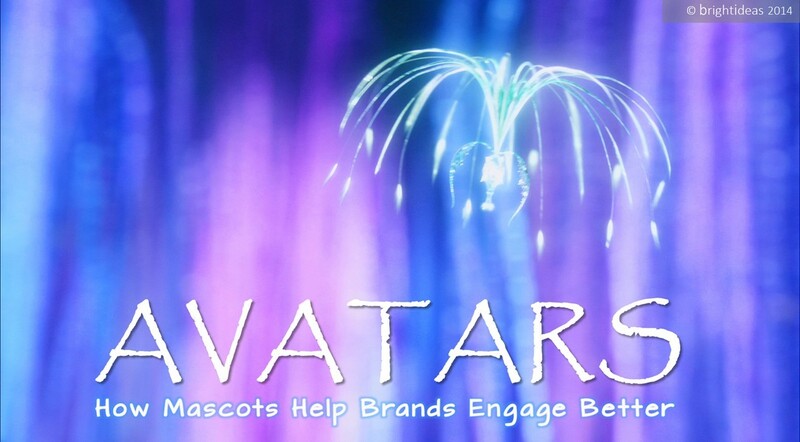 The sheen of the brand may diminish over time but mascots are ageless. Sometimes even out surviving the brand. Mascots needn’t necessarily be cartoons, caricatures or animated characters alone. They can be and are human too. Many brands have successfully created characters and used them in communication across multiple touch points. Here are a few brands and their mascots that according to me have served or are serving their brands superlatively across TV commercials, radio spots, print ads, hoardings and web films. 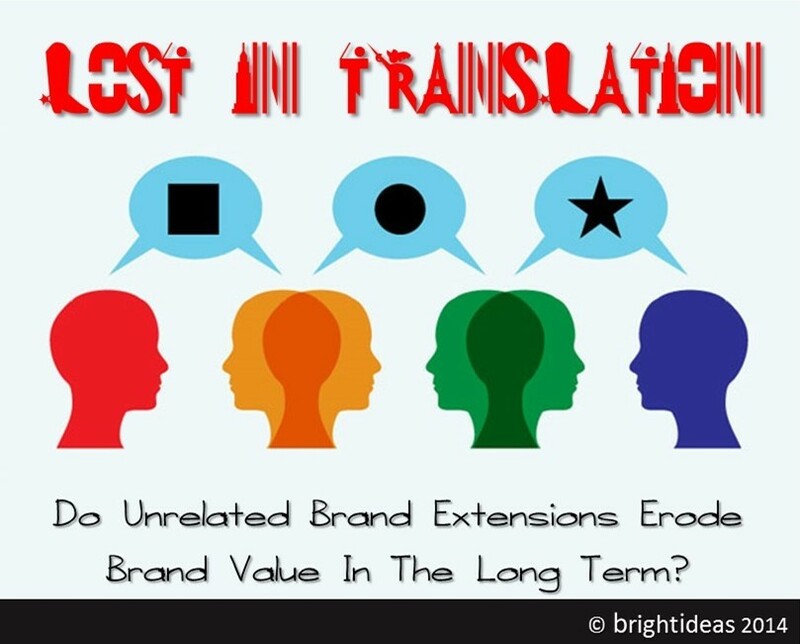 Lost In Translation: Do Unrelated Brand Extensions Erode Brand Value In The Long Term? Its election time in India. Starting April 07, the world’s biggest democracy shall go in for a marathon round of voting that would be spread over a month. The election jamboree has several contestants and in the fray are people from different walks of life. The noteworthy ones though are the contestants who have been in the public consciousness but for totally different reasons. If celebrities be considered individuals who are brands that they are courtesy their achievements/fame in their original profession. Their foray into politics therefore, is akin to a brand extension. Now as marketers we are familiar with extensions and have seen many such examples. It is the author’s humble opinion that brand extensions into un-related categories are detrimental to the brand. Now I do not have empirical evidence to back this but more often than not, the brand attributes that made the brand successful in its space would not resonate with consumers in an un-related space. Yes there have been brave attempts at looking at a core set of values and carrying forward those elements that are relevant to the spaces related or otherwise that the brand is being carried into. 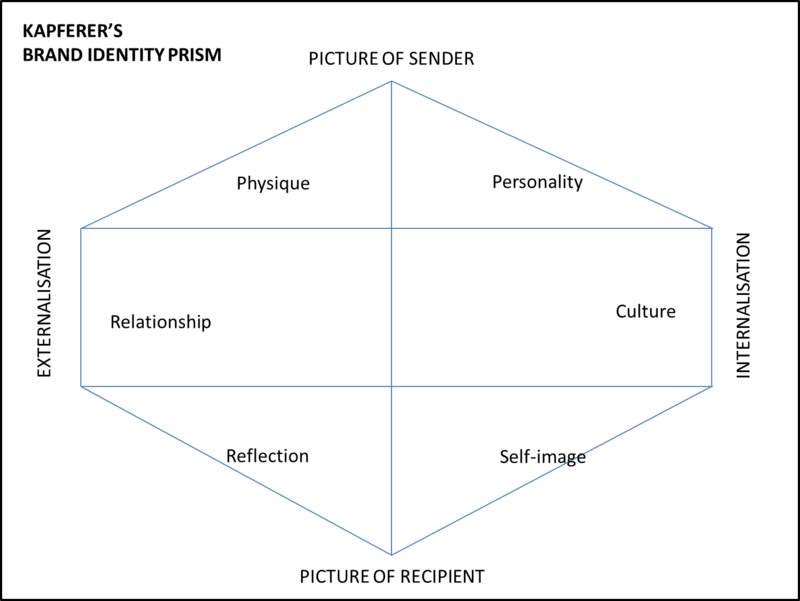 Just to refresh the model suggests that there are six facets to brand identity. As with individuals there is what gets projected and communicated and there is what gets received and understood. Physique: The brand in Its physical/tangible form eg. colour, packaging, product form etc. Personality: How the brand projects itself. Fun, young etc. Culture: A set of values that feed the brand. Reflection: An image a brand creates regarding who its typical user would be. Example Blackberry with QWERTY phones for executives. 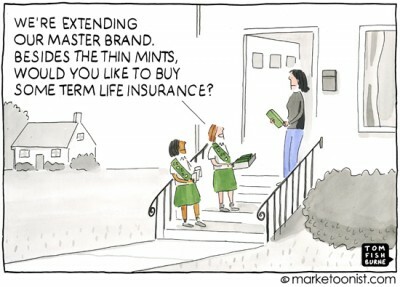 Self-image: What the brand does to its consumer’s image of self. For example, ladies hand bags from fashion brands perhaps project “I can afford it” for a bulk of their consumers. Coming back, the contestants in this election range from the “have-beens” to the “could not have beens”. Movie stars, sports persons and business icons they are all there. If one were to critically assess any one of them with respect to the brand that they have built in terms of elements 2 through 6 listed above with the assumption that physique is something they cannot easily change, most would find diminished relevance of their established identity in the new space. Yes there have people who have translated their success in one field into success in another but the examples are few and far between. I will defend my case with two examples one a business brand that made an extension into an unrelated field, another an individual. Both brands that attained dizzying heights forayed into an unrelated spaces and ended up eroding if not decimating brand value in the final analysis. Exhibit#1 The individual: Amitabh Bachchan arguably India’s biggest movie star and an icon for millions of Indians across generations. The Big B as he is popularly referred to made according to him one of the biggest mistakes in life when he chose to enter politics. A super-star he contested elections from Allahabad, UP, India and dislodged a stalwart. What followed were years of turmoil as he got embroiled in allegations of corruption that tarnished his image. It took Amitabh Bachchan the brand over a decade to rise from the ashes, a deed that not all can perform. Exhibit#2 Kingfisher: Originally a beer brand it was extended to an airlines. The brand attempted to translate “the good times” value to the service industry. From offering a low-fares to the concept of premium economy the brand threw everything including the kitchen sink at the customers. Perhaps one of the better executed transitions only from a process standpoint. The change in logo from a perched Kingfisher to a flying one, the launch and the initial follow through were commendable. However, the ambitions were all consuming. The brand and the business were unable to reduce the revenues vs expenses gap and finally the airline operations that commenced sometime in 2004-05 came to a grinding halt in 2012-13. There is sure to have been damage of the episode on Kingfisher the beer brand, pretty sure some enthusiasts would be out there collecting the before and after data for Kingfisher. Is Sonic Branding A Dying Art?? Remember the days of listening to All India Radio? The times when watching TV meant waiting for Chitrahaar during the weekdays and the mega-entertainment bonanza on Sundays topped of with a Movie in the evening? An era when Print (Newspapers & Magazines) ruled roost and amongst the lesser mortals there was radio, billboards, bus queue shelters and in-cinema; television was a fledgling. Radio jingles were the order of the day and as television took off some of the earlier TV spots took a similar approach. As available media choices increased with the C&S boom and further with the advent of digital media the role of radio advertising diminished and the “sound of the brand” became a matter of detail. Often, creative thinking as far as brands and advertising are concerned, is skewed towards the visual manifestation typography, colour pallete, tonality,images etc etc. Days and months are spent on getting it right over lengthy on-brand off-brand debates. Simple question: If brands are like people and each one carves its unique identity. Isn’t our voice as much a part of our identity as are our physicality, handwriting etcetera? There are no pre-defined mandatories as far as creating or building a brand are concerned. Organisations spend millions of dollars in creating, propagating and sustaining the “Brand Identity”. There are few brands however, that have invested time and effort in creating their audio signatures and fewer still who have maintained them zealously. With the world becoming a smaller place and brands having to create mind-space across cultures and geographies one would reckon an Audio identity is a must. Forget music, how many brands get pronounced they way they want their brand names ought to be? Music is widely agreed to be a universal language with commonly practiced protocols. Sound has the power of conveying emotion in a manner the is most widely understood. Sound leaves a deeper and longer lasting impression on the human mind. Unlike visuals sound need not necessarily be in the foreground or in the primary attention space for it to have an effect. The author does not deny that music is widely and wisely being used in campaigns, the fear or concern however is that it is being limited to campaigns. Brands that create a broader footprint with their identities shall prevail and sustain in the mind-space longer and stronger. The beauty of an aural mnemonic is that once established it is embedded in the visual, we don’t need to hear the sound every time. Most of us sub-consciously hear “Ting ting ti din” every time we see the Britania logo or for that matter when we see the Intel logo we hear it too! Listed below in no particular order are the best examples of Sonic branding from an India perspective according to me. Not necessarily all were created in India. The reason I mention them is that for all these brands their signature tunes/songs/sounds have remained integral to their communication over the years and have evolved with the brand. Check them out! Other honourable mentions will be for Doordarshan and All India Radio, today the FM radio brands carry the flag with their stationality. The above is just a top of mind, if you are reading this and can come up with more such examples of brands that have consistently used sonic branding do post a comment.